As a result of getting a cold lately, I used up another tissue box. That gave me the idea to reuse the box for other purposes. You could simply just place things in it to use but I wanted to decorate mine a bit. Then, I simply covered the sides with the paper. 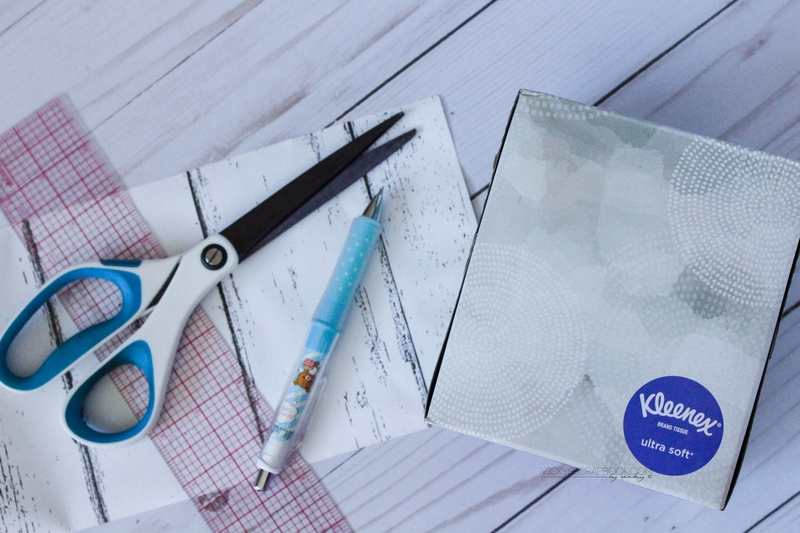 The last step is to cut into the hole in the middle so that the paper could be folded into the box. I left the circular hole as is but you could adjust to your needs. 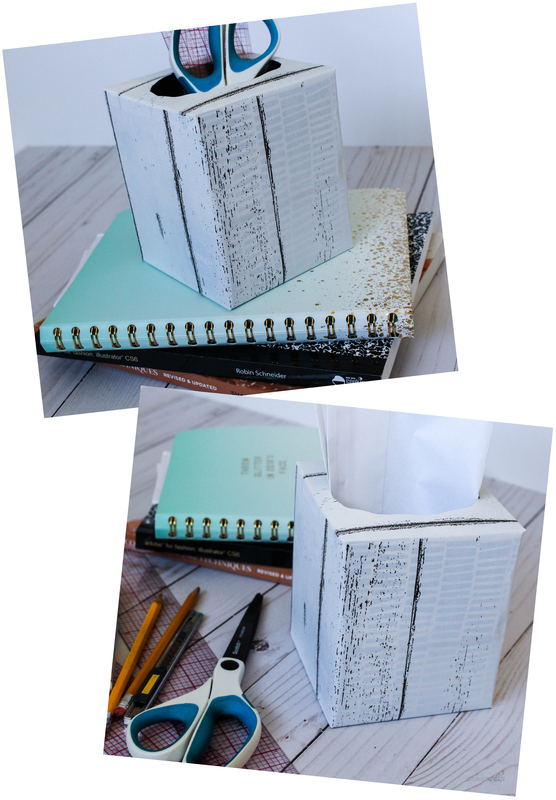 Now I could use the tissue box like a giant pencil holder but for my rulers and scissors or even my unopened mail. 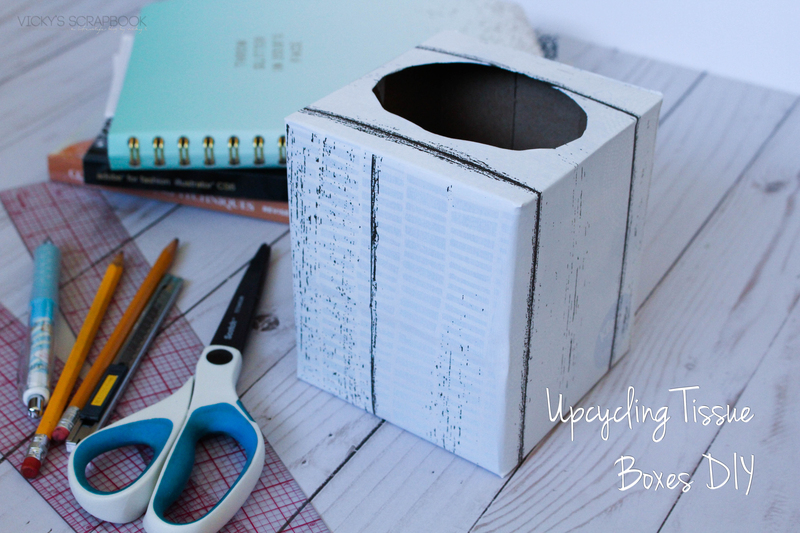 This was a super quick DIY but what do you think of this idea? Ohhh this is perfect! 😀 I should make one of my desk at the office! I always have so many papers lying around! Looks like you made the best out of your cold 😉 Hope you’re feeling better by now!